Game isn’t compatible with iPhone X as of yet, SI are working on it, there are a couple of threads around the forum that go into more detail. Hope this helps! 37, have played since the very first CM! Nice work with the Steam discount, pre-purchased and bagged 20% off! Roll on November! Just finished my 6th season, used this tactic, finished as champions in Championship to get back up into Premier League and won Capital One Cup. Also won 15 games in a row. 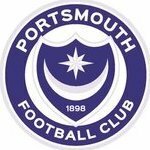 Playing as Portsmouth. Top tactic! On the brink of taking Pompey back into the Premier League in four seasons on my FMT save, top of the Championship with 4 games remaining, Looking extremely good! Think a new stadium will have to now be considered!!! ? Nice work, only play FMT so this is absolutely perfect!! One season completed........just got Portsmouth promoted to League 1, finished runners up.........was looking like I'd just scrape into the play offs with 7 games to go, managed to win 6 on the spin and draw 1, other results went my way and got automatic promotion at first attempt. Matt Tubbs scored 26 league goals and Georg Iliev, who I signed on a free scored 18 league goals. 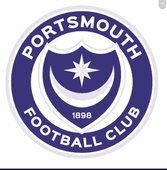 Most Consistent Starting 11 GK Paul Jones RB Justin Hoyte CB Christian Burgess CB Matt Clarke LB Enda Stevens RM Gary Roberts CM Ben Close CM Michael Doyle LM Kal Naismith ST Georg IIiev ST Matt Tubbs Now to strengthen in pre-season and tackle League 1!! ? Managed back to back promotions with Portsmouth using this tactic, currently in pre-season preparing to tackle the Championship, could I get back to the Premier League with another promotion?! Time will tell! Great tactic, top work! I switched to this tactic on my Portsmouth save at beginning of 2nd season, I got promoted from League 2 season before! I am currently a quarter of the way through December, 2nd in league having been set a target of lower to mid table, in the quarter finals of Capital One Cup having beaten Southampton and Middlesborough of the Premier League along the way, have Derby County at home next, fairly confident! In the final of Johnstone Paint Trophy and in the 3rd round of FA Cup. I have a fairly young squad, signed Zack Clough on a season long loan from Bolton, has been sensational up front, 27 goals already, 6 of which came in one game against Telford in FA Cup 2nd round in a 7-0 victory, also set a new club record for most goals in one came! Other stand out players for me are Jed Wallace, Danny Hollands and Jack Whatmough. Tactic had been perfect for me since the 15.3 update! Legend! FMC has been crying out for a skin like this, quality! Thank you so much for your hard work! I'm playing game on iPhone 5s, game very slick, runs so smooth, as has been mentioned the UI looks great! Loving the fact you can save to iCloud..........now, where did I put my iPad! 25% isn't the best deal. Just £21.99 here. Had no problem last night purchased at ten to midnight, had key by 4 minutes to midnight, enter key into Steam, activated FM14 retail download, downloaded fine, works like a charm. I paid £21.99. Agreed, FMC is a great game, with me being married and having a 15 month baby boy creating chaos, FMC is the perfect "release" from the real world! It'll be topped off nicely when FMC is released for Vita, cross platform cloud saves, yes please! Great work SI! You have custom graphics in your FM directory in "My Documents"? There seems to be an issue with this which won't allow the Workshop to load when trying to read custom graphics. It's been suggested over at the skinning forum that for now you rename the folder "graphics" to something else, this will then allow workshop to load, as it will not read graphics folder when renamed. Type in http://community.sigames.com into the address bar in Safari. If you already have beta then the process I used was to load up steam, select add game in bottom left hand corner, put in FM activation code on back of manual and then steam did the rest for me, updating beta to main game. Download file as it is then rename it with .zip on the end.